Bill Jordan and Associates is a unique Australian structural and conservation engineering firm. 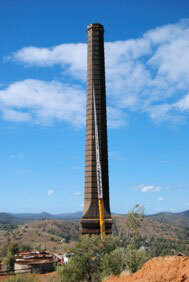 We specialise in the conservation of historical structures including bridges, churches, chimneys, roads and buildings. We have helped to preserve and extend the life of a number of landmark structures including the earthquake damaged Newcastle Cathedral, the Great North Road, Tasmania’s 1836 convict-built "Red Bridge" through to Australia’s oldest European building at Elizabeth Farm. With more than 40 years experience you can trust the expert, quality advice from Bill and his team. When you work with Bill Jordan and Associates you can be assured that every project has Bill’s personal attention. You will receive personalised, prompt and professional service.